Hoera!! NarrativeCollective - Tracing Erased Memories is geslaagd! Dankzij 42 donaties die samen € 2.390 opleverden voor NarrativeCollective. It is hard to keep some memories of our cities with the rapid and constant changing cityscape. The city changes and the traces of our struggles are slowly erased. 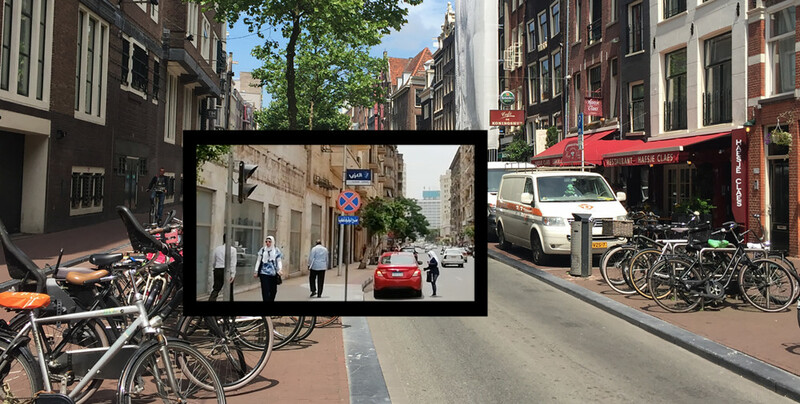 As an attempt to trace some of the violent memories our cities had gone through in the struggle for better living conditions, we are constructing this walk: a walk through Amsterdam while exchanging your view with a person in Cairo. Experience the changing image of both cities in relation to different socio-political events. We are focusing on the 2011 Egyptian revolution in downtown Cairo and the recent evictions of squatters in Amsterdam’s city center. We all share memories of these events, though the changing urbanscape is erasing the memory of our cities. Through a choreographed roadmap, you walk through the city center in Amsterdam with headphones and a tablet. Meanwhile, you see and hear the parallel experience of a person walking in Downtown Cairo. Your walk will be double-layered with selected moments of history appearing as overlapped traces to the real-time experience. This project will premiere at Fringe Festival in Amsterdam from 6 until 16 September 2018. Experience our walk. Buy your tickets now! To realize this project we need to buy technical equipment in order to overlay the experience of different places and different times all in one walk. Please support us. Donate now and share it with your friends. The NarrativeCollective is the operating name of Hilda Moucharrafieh, as a platform for collaborating with other artists and researchers on common interests in opening discussions around different possibilities of decontextualization and recontextualization of identities in subjective histories and contemporary narratives. The work is generally manifested through performative installations. Hilda Moucharrafieh (b. 1986, Lebanon) is an Amsterdam-based artist working through performance and performative installations. For this project, having its premiere at Fringe, Hilda designed the roadmap in Amsterdam based on her involvement with the group We Are Here and several squatter communities across the city. Dina Mohamed (b. 1987, Egypt) is an art student working as a human rights researcher with a background in philosophy. She designed the roadmap in Cairo driven from her own experience of the clashes with the police while living in downtown Cairo during the 2011 Egyptian revolution. We have come so far since the first preparations for our project. With your support and donations we were able to finalise the last stages of production. Today is the day of our premiere at Amsterdam Fringe Festival, and we would like to invite you to see our work which you helped in funding! The walk will be every day from 6 to 16 september. Each walk is for 2 people and lasts for 30 minutes. Many thanks to YOU we have reached 119% in our crowdfunding campaign. This has been an exciting journey, for the first time, to run a crowdfund in order to produce our project. Thank you, for believing in our project, for being as excited about it as we are, and for supporting us as artists touching on subjects that are personally and socially urgent for us. We are 10 days away from the premiere at Amsterdam Fringe Festival, working hard on finishing the details that make up this parallel city walk experience. And thanks to you, we can buy all the equipment necessary to make this project possible. Nice project! Go for it Hilda!!! Its an amazing idea! Keep going, girls!!!!!!! Vernieuwend en beleving en bewustwording,. een mooi idee om deze 2 werelden op deze manier bij elkaar te brengen. Because the future will stand on the shoulders of a faded present. We gladly support this interesting project, that will also be part of Fringe Amsterdam! Mooi idee, ik zou het graag willen zien en ervaren. A postcard-size of the roadmap which features the locations in both Amsterdam and Cairo. Many thanks for your support! Every cent gets us closer to our goal. Your name will be featured in the credits as a supporter of this project. 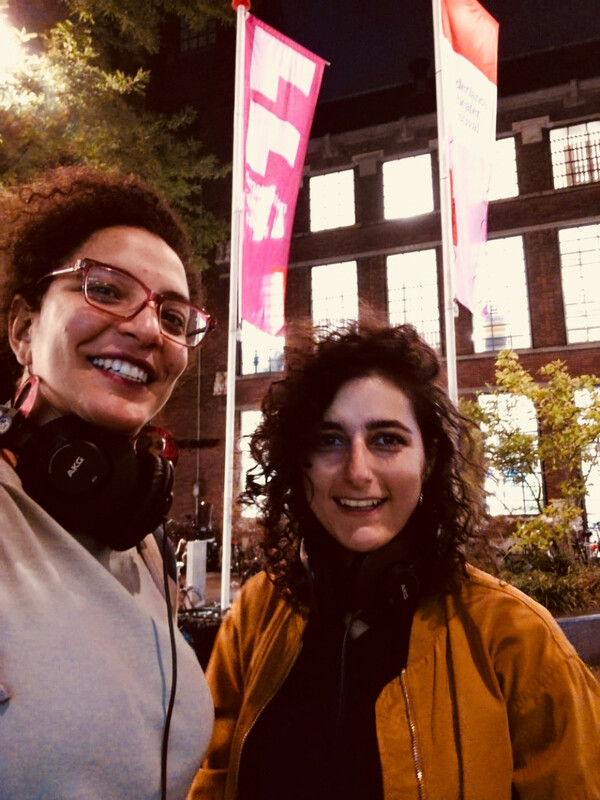 A one-on-one test walk with the artists in Amsterdam, right before the start of Fringe Festival, so that we can develop this project together. Two-person VIP walk in Amsterdam, followed by a talk with the artists over drinks at a chosen location along the route.